Knowledge Centre Who are they? In 2008, Business to Arts first brought Tom Suddes of the Suddes Group to Ireland with the help of Georgina Neal (then Opera Theatre Company) and Lorrie Neal (DSPCA). Tom founded For Impact in 1983 after serving as Director of Development at The University of Notre Dame and after founding 11 companies in various sectors. In 25+ years The Suddes Group has raised over $1Billion for organisations around the world, run more than 400 successful fundraising campaigns and transformed more than 5000 organisations through training, coaching and consulting services. The success of For Impact in 2008, led to their involvement in New Stream where they began to share the scale and impact they have had working with Irish arts organisations on a one-on-one basis. 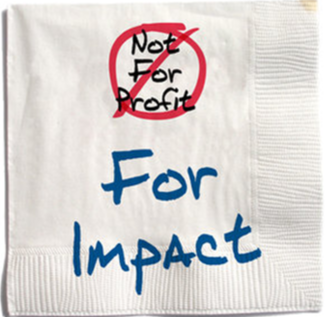 Through the For Impact blog and their Online Videos they continue to share their complete approach and frameworks to the New Stream and wider For Impact alumni. 100% of respondents believed that as a result of For Impact training they had improved their understanding of how to build a successful fundraising campaign. 92% had developed a broader entrepreneurial fundraising mindset. 88% were more able to relay the value of fundraising within their organisation. 92% were more confident in developing an internal/external fundraising pitch.